California 2019 Employment Laws continue to lead the nation in protecting employees at work. The 2019 California legislature expanded the rights of military members and their families and lactating mothers. Additionally, it answered questions raised by 2018 legislation on utilizing salary history and criminal history of applicants. 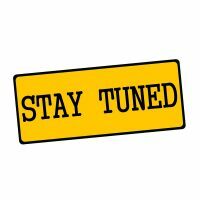 For ease of use, you will find a summary of California 2019 Employment Laws not covered in Part 1 (Me-Too-Movement Laws Take Center Stage in 2019) or Part 3, as well as a clickable links to the actual laws. Simply click on the bill numbers below. Additionally, employers will find suggested actions to consider taking to ensure compliance with the specific California 2019 Employment laws. Noteworthy, all bills go into effect on January 1, 2019, unless specifically stated otherwise in the bill, and/or as noted below. In an effort to overcome the persistent gender pay gap, last year the legislature made it unlawful to ask job applicants for their prior salary information. This led to a flurry of questions from employers and em ployees alike. As a result of updates to Labor Code Section 432.3, these amendments provide answers to some of those questions as noted below. 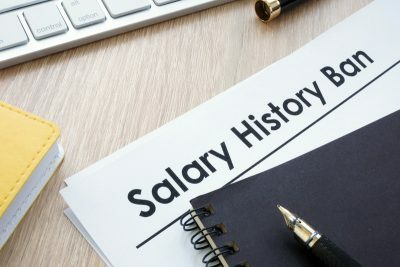 An employer may make a compensation decision based on a current employee’s existing salary, so long as the wage differential resulting from that compensation decision is justified by other specified factors in Labor Code Section 1197.5. For instance, a seniority or merit system would be two such factors. 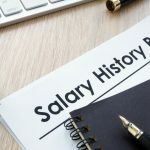 The prohibition on asking a job applicant about prior salary does not forbid an employer from asking the applicant about his or her salary expectations for the position being applied for. Thus, although an employer cannot ask about past salary, it can ask what the employee would like to make for the position. “Applicant” or “applicant for employment” means an individual who is seeking employment with the employer and is not currently employed with that employer in any capacity or position. As a result, these definitions and clarifications will make it easier for employers to navigate the minefields set in place last year with the passing of AB 168 mentioned in last year’s blog on this topic. Educate HR, hiring supervisors and recruiting staff on clarifications offered by AB 2282.Review and update Employment Applications to include request for salary expectations. Delete any request for salary history. After the initial interview, provide applicant the pay scale upon request. SB 1412 amends Labor Code Section 432.7 to require that employers only consider convictions relevant to the job which they are applying for when screening job applicants using a criminal background check. Currently, existing law is structured so that expunged or judicially sealed convictions cannot be considered until a conditional offer of employment has been offered to the applicant. Therefore, it is imperative that employers consider only a “particular” conviction relevant to the job being applied for. Unless, of course, the employer is required by law to obtain information regarding the particular conviction of the applicant, regardless of whether that conviction has been expunged, judicially ordered sealed, statutorily eradicated, or judicially dismissed following probation. For example, the law would require information if the position required the employee to possess or use a firearm in the course of employment. Review employer’s internal recruiting processes to ensure only criminal history related to the applicable job is being considered before hiring decision is made. Educate HR, hiring supervisors and recruiting staff on clarifications offered by SB 1412. AB 1976: Lactation Accommodation: Expansion of Existing Law to Allow Mothers to Express Breast Milk at Work in a Cleaner and Safer Environment. Allows an agricultural employer to be in compliance with this bill if they provide an employee wishing to express breast milk with a private, enclosed and shaded space in close proximity to the employee’s work area. Employers are encouraged to take this law seriously. Employers who violate this bill are subject to civil penalty in the amount of $100 for each violation. (Labor Code §1033). In addition, the Private Attorneys General Act (PAGA) allows aggrieved employees to recover a civil penalty normally assessed and collected by the Labor and Workforce Development Agency through a civil action. (Labor Code §2699). Ensure that the location designed for expressing milk at work is not a bathroom, is private and free from intrusion while an employee expresses milk and is in close proximity to the employee’s workspace. If, after reasonable efforts, the employer determines that providing a lactation space which is not a bathroom would create an undue hardship, find a lactation space that is not a bathroom stall. Keep in mind that the “undue hardship” could be challenged, resulting in a costly lawsuit. Consider the positive employee relations benefits of exceeding the lactation accommodations such as those required under the San Francisco Ordinance mentioned above. Many employers include mediation as an option to resolve workplace disputes. This bill requires printed disclosures to mediation participants concerning mediation confidentiality restrictions. 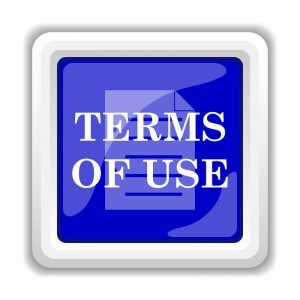 The specific restrictions may be found by clicking on this bill. Employers should make sure their attorneys representing them in an employment mediation provide the required disclosure statement. Update Dispute Resolution Policies that include Mediation. 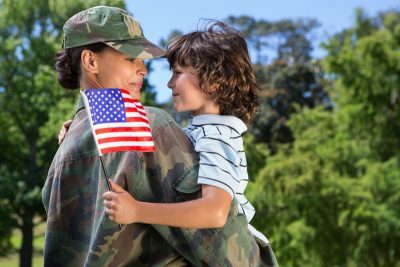 SB 1123 expands California’s employee funded Paid Family Leave program to cover the often sudden and pressing needs that arise as the result of having a family member who is in the military deployed overseas. The Paid Family Leave statute now allows individuals who participate in a qualifying exigency (urgent need or demand) related to the covered active duty or call to covered active duty of the individual’s spouse, domestic partner, child, or parent in the Armed Forces of the United States to take paid family leave. Permits the Employment Development Department (EDD) to require an individual claiming Paid Family Leave benefits because a family member is on active duty to provide documents and other information to substantiate the claim. Additionally, effective January 1, 2019, this bill also removes language from Section 3303.1 of the Unemployment Insurance Code to be consistent with the removal of the 7 day waiting period for Family Temporary Disability Insurance benefits (Paid Family Leave). Update handbook policy on Paid Family Leave to comply with changes being made on January 1, 2019 (no 7 day waiting period) and again on January 1, 2021 with regard to paid family leave benefits for military families. Educate HR, supervisors and managers on this law, and specifically on the types of activities that may qualify an employee for Family Temporary Disability Insurance under the provisions of Paid Family Leave. SB 1252 confirms existing law ( Labor Code Section 226) which affords current and former employees the right to inspect or receive a copy of wages and wage rates, job classifications, and other terms and conditions of employment of the persons employed by the employer, upon reasonable request to the employer. Additionally, it clarifies that the employer is required to make the copies. In the past some employers required the current or former employee to bring in their own copier or have a copy service make the copies at the employers office. Above all, employers are reminded that failure to produce such records within 21 days of the request, prescribes a penalty of $750 . Educate HR. Make sure that itemized wage statements, time cards, and job classifications are included in payroll records requests. Check with employment attorney if unsure of what to produce. Update employer policies and processes to ensure compliance. Recommend that employers include the standard cost per page for the copies in the policy to ensure consistent application. This bill updates sections of existing law (Military and Veterans Code Section 394). It protects military service members from discrimination. This bill prohibits discrimination for service members of all federal service branches (Army, Navy, Air Force, Marines, Coast Guard). It also protects components (active, reserve, National Guard) from discrimination. It replaces the term “Army and Navy of the United States” with the term “Armed Forces of the United States”, so that all five service branches of the United States are covered explicitly. Additionally, it consolidates references to “officers,” “warrant officers” and “enlisted” into the generic term “members” where protections apply to service members regardless of rank. discriminate against the person in compensation or in terms, conditions, or privileges of employment. It is unlawful for an employer to make any non-job-related inquiry of an employee or applicant that expresses, directly or indirectly, any limitation, specification, or discrimination as to military and veteran status. Provides that employers and their agents may not discharge a person from employment because of the performance of any ordered military duty, or hinder that person from performing any military service; prejudice or harm the terms, conditions, or privileges of employment, position, or status; or dissuade, prevent, or stop any person from enlistment or accepting a warrant or commission. Requires employers to maintain collateral benefits for employees who are, for a period of up to 52 weeks, temporarily incapacitated due to service in the National Guard or Naval Militia. As used in Section 394, “benefit” includes, but is not limited to, health care which may be continued at the employee’s expense, life insurance, disability insurance, and seniority status. Educate HR, supervisors and recruiting staff of these requirements and expansion of rights to all service members. Are You Interested in our 3 Part Series of California Employment Laws for 2019? 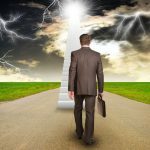 The Independent Contractor Dilemma after California Supreme Court Dynamex case (the “ABC” case). What Does the Dynamex Case Mean for Beauty Salons, Housekeepers and Other Industries Who Primarily Utilize Independent Contractors for Staffing? 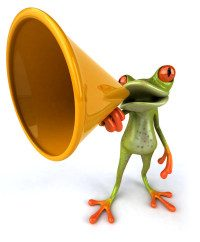 The Frog Knows, aka attorney Chuck Farrar. 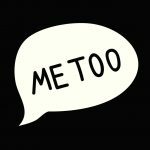 Feel free to call (530) 273-0800 with questions about this blog or to schedule an appointment for assistance with compliance and prevention strategies. This Blog/Web Site is made available by the Law Office of Chuck Farrar for educational purposes only as well as to give you general information and a general understanding of the law in California, not to provide specific legal advice. 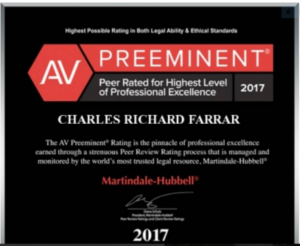 By using this blog site you understand that there is no attorney client relationship between you and the The Law Office of Chuck Farrar. The Blog/Web Site should not be used as a substitute for competent legal advice from a licensed professional attorney in your state.